At the time of his death in 2010 in a bicycling accident, the art of San Antonio’s Chuck Ramirez was making an international impact. After years of working in commercial design for the brands of the H-E-B supermarket company, Ramirez established an artistic practice that allowed him to focus on and develop many series of photographs on various themes. Most of these photographs present familiar, everyday objects—hospital flower arrangements, open women’s purses, jam-packed trash bags—clearly captured in great detail against a white void. Some of these objects are stand-ins that serve as portraits of those in Ramirez’s wide circle of social and professional friends and acquaintances; others are symbols for consumption, transience, and mortality. Regardless of subject, Ramirez’s images are devoid of human inhabitants, yet filled with a deep and palpable humanity. This exhibition is the first to present a comprehensive view of Chuck Ramirez’s art. 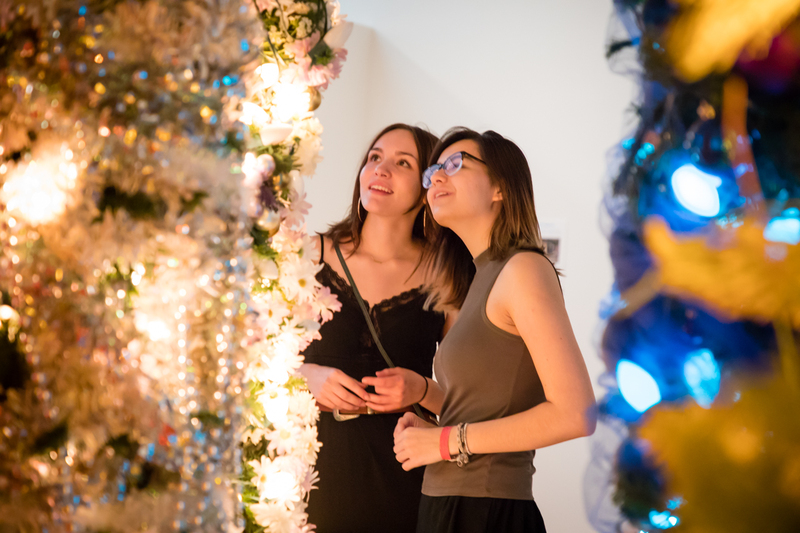 The McNay’s survey includes not only the crisp photographs of single objects on white backgrounds for which Ramirez is particularly well known, but also his early, more personal imagery; examples of video and installation work; and nine decorated Christmas trees created for his friend and fellow artist Linda Pace. Of particular significance is the re-creation of Ramirez’s 2002 Artpace residency exhibition, Bean & Cheese—a precise replication of the size of Artpace’s gallery, with the works installed just as they appeared there 15 years ago. It reimagines a milestone in the artist’s development, and offers new generations of viewers insight into Ramirez’s more youthful efforts. Cover Image: Chuck Ramirez, Dia de los Muertos, 2003. Seven Days series. Digital print. Courtesy Ruiz-Healy Art, San Antonio, Texas © Estate of Chuck Ramirez. 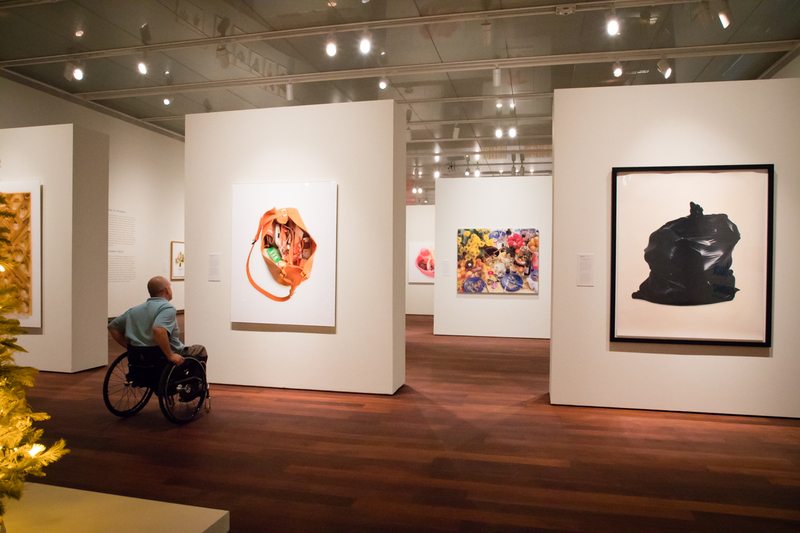 This exhibition is organized by the McNay Art Museum. Lead funding for Chuck Ramirez: All This and Heaven Too is most generously given by the Elizabeth Huth Coates Charitable Foundation of 1992; The Brown Foundation, Inc.; John L. Santikos Charitable Foundation Fund of the San Antonio Area Foundation; Rick Liberto; National Endowment for the Arts; Linda Pace Foundation; Diane and Bruce Halle Foundation; Capital Group Companies Charitable Foundation; and Carolyn and Allan Paterson. Additional support is provided by H-E-B; Whataburger; Smothers Foundation; Chris Cheever; Mitcham Partners, LLP; Patricia and Charles Marcus; Patricia and Juan Ruiz-Healy; Katy and Ted Flato; Christopher C. Hill; Penelope Speier and Sonny Collins; Melissa and Kelton Morgan; Lisa Nichols; Ann Griffith Ash; Caroline Alexander Forgason; Molly and Bill Asher; Jim and Dolly Poteet; Emma and Toby Calvert; Lara Flynn and Donnie Thomas; Thomas F. Hogan III; Wendy Atwell; Muriel F. Siebert Foundation; Patty Ortiz and Dwight Hobart; the Director’s Circle; and Exhibition Sponsors.